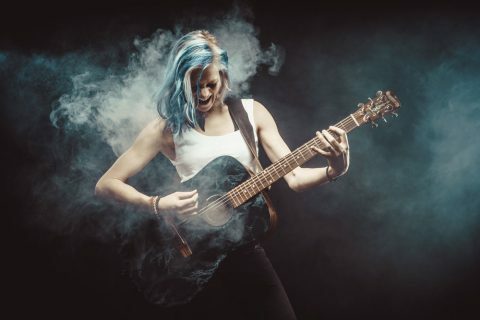 Singing, screaming, and jamming out distorted riffs on her acoustic guitar, Pinski frontwoman Insa Reichwein is a hard rock songsmith who wears her heart on her sleeve. Pinski left nothing to chance for the album. That is why in Fabio Trentini (Guano Apes, Donots, H-Blockx) the band hired a producer who is as well-established as he is experienced. Trentini’s skill steered the sound of this young band into the desired direction. Thus “Sound The Alarm” does not only have powerful but also a fresh and an emotional sound to it. This band knows what it is doing – and it is easy to hear that. Think of your favourite food. Got it? Good. Next question: did you personally invent that dish? No? That’s what we thought. 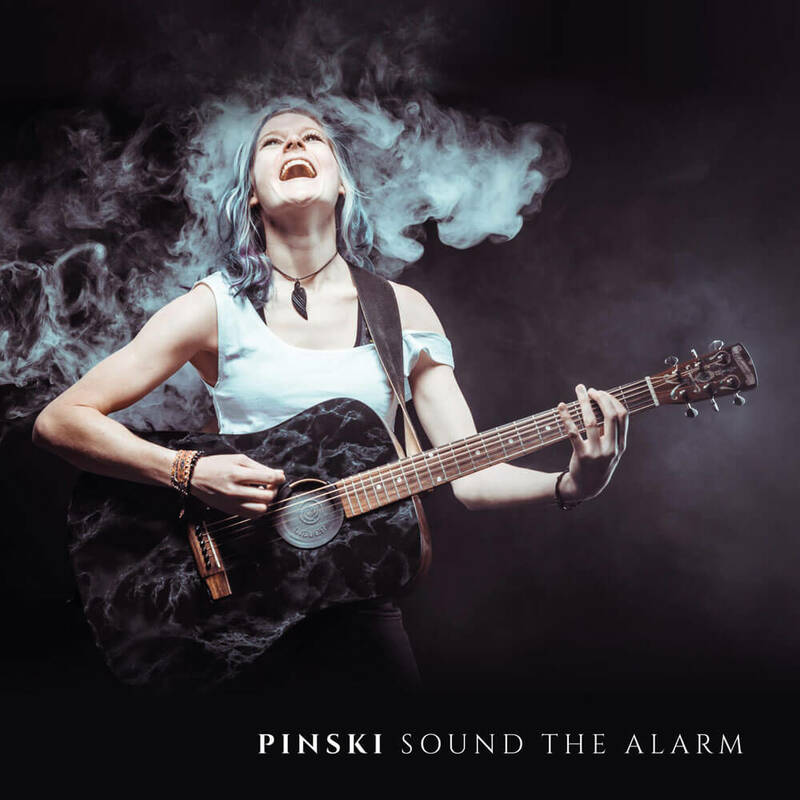 And that is just about how the songs off Pinski’s debut album “Sound The Alarm” can be characterized: no need to reinvent the cake – it’s all in the icing, man! The Cologne-based outfit have enriched their album with a large portion of courage and even more versatility. That is how this inspired feast of musical treats was created. 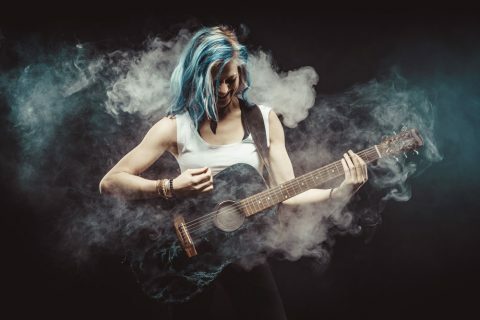 Should one be reminded of established master chefs the likes of Porcupine Tree, Jane’s Addiction or Skunk Anansie here or there whilst consuming “Sound The Alarm,” that is by no means deception of the taste buds, after all Pinski know that everything has already been done in rock music. But let us put it this way: this band really knows how to put the icing on that cake! The powerful riffing of American-born guitarist Ian Alexander Griffiths provides Pinski’s ingenious compositions with a heavy metal-edge. 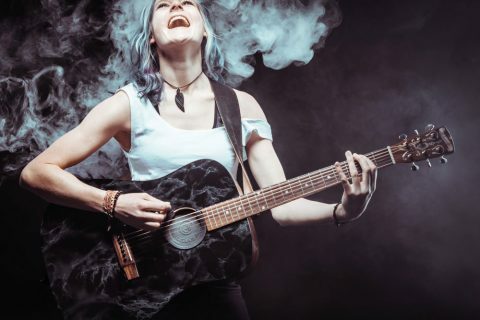 However, the heaviness neither takes away any of the delicate nuances of the songs nor does it weaken the joy of the music’s rhythmic accessibility. Along with Stephan Schöpe on drums and Christopher Streidt on bass Griffiths lays the foundation for the exciting big picture that is ultimately perfected by the mastermind’s very own ingredients: singing, screaming, and jamming out distorted riffs on her acoustic guitar, Pinski frontwoman Insa Reichwein is a hard rock songsmith who wears her heart on her sleeve. The band’s debut consists of eleven songs that offer next to everything: from bite-sized rock canapés all the way to intricately woven progressive explosions in taste that spread over more than seven minutes. It does not take long until it is clear: the work on this album was not only defined by a precise approach but also by the passionate hunt for the perfect recipe. But still, if one described “Sound The Alarm” merely as a delicious as well as well thought out selection of musical pieces, that would be doing injustice to the record: just as a meal can be much more than just food, the truth in Pinski’s music lies much deeper than one might suppose at first glance. Pinski left nothing to chance for their debut album. That is why in Fabio Trentini (Guano Apes, Donots, H-Blockx) the band hired a producer who is as well-established as he is experienced. Trentini’s skill steered the sound of this young band into the desired direction. Thus “Sound The Alarm” does not only have powerful but also a fresh and an emotional sound to it. This band knows what it is doing – and it is easy to hear that. The table is set, the feast is waiting to be devoured: we hope you will enjoy the experience!